I vividly recall decades ago, my sister, Cha, brought home some marble wares like dolphin, mortar and pestle and ashtray from Romblon. She had nothing much to say about her trip, but she made it quite known to us that true to what we learned from our Sibika At Kultura books in grade school, indeed, Romblon is the marble capital of the Philippines. I have imagined most of the houses there, at least, have marble fixtures in them. Since then— brought by too much curiosity about the place—Romblon had been on my list of “Places to Visit” in Luzon. Maybe because it holds a special spot in my consciousness that I decided to make it the last province I’d visit in Luzon for my 80before30challenge. I wanted to hang on to the excitement of seeing what’s in there. Is there more to Romblon than just its vast marble reserves? I wondered. I made a few research before actually going there. 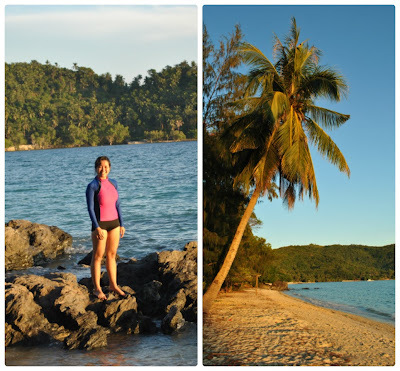 The internet had write-ups about Tablas Island and Carabao Island, but had not provided enough details about going to Romblon, Romblon, which was the destination I wanted to see. There were not so many blogs either, and sadly, the provincial tourism website didn't provide much help for DIY travelers like me. Maybe that’s what made me want to go there, even more. 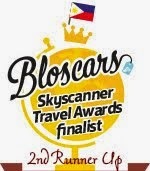 It was the excitement brought by the fact that it remains to be one of the most overlooked destinations in the country. Last April, along with my friend, Anchi, I finally fulfilled a “childhood dream.” I made it to Romblon. Our trip going there wasn't as easy as I have imagined it to be. It was a very loooong and arduous trip. From Manila, we boarded a bus going to Batangas Port. After two hours, we arrived at the port, and were quite lucky to have caught the last trip (5:00 pm) of the RORO bound for Romblon, Romblon. Since we booked late, we had to bear the agony of sharing a single bed in an open-air deck, in a sweltering mid-summer day. We also had to share the crowded deck with a handful of people endlessly buzzing, and some even playing OPMs in full volume, with songs like "O giliw ko miss na miss kita" perpetually playing. I could see everyone getting ready for what was to be a long night trip. I cannot complain, but I was seriously very worried for my travel companion. The RORO sailed off an hour late of schedule. As dusk fell that day, I could see from my bed the magnificent sunset making its way to the horizon. I marvel at how each sunset brings so much excitement especially when I’m on the road. I just feel that sunsets in the provinces are much more beautiful than sunsets in Manila. Maybe it’s the sun’s unobstructed view, the warmth it brings just before it sets, and the familiar cool breeze I feel once darkness embraces the surrounding. Wonderful sunset as our boat leaves Batangas. Photo by Anchi. As the boat waded past the island of Mindoro, Anchi and I decided to just spend the night in the open deck since both of us are finding it impossible to catch sleep. Finally after almost 10 hours, the boat docked in Romblon. We were greeted by morning peddlers. And our first breakfast in Romblon was a cup of coffee and two pieces each of “boknoy” (a local term they use for siopao). From the port, we asked a trike driver for the best beach near the town (Fare: P 100). Kuya Richard, the driver, brought us to Tiamban Beach (Rate: P650/night/fan room), located at Barangay Lonos, about 15 minutes away from the port. The resort has two available rooms for overnight stay and most of the cottages are for day trips only. After having all our stuff settled, I immediately checked the shoreline. The beach was pristine and calm, especially so with the morning sun already aglow in the nearby hill. With the fine sand under my feet, it couldn't be more perfect than that. After catching some rest, we contacted again Kuya Richard to tour us around (Fare: P200/half day). And because I had to satisfy my curiosity about Romblon’s marbles, I kindly asked him to bring us to one of the marble processing areas. They showed us how the huge chunks of marble rocks were turned to pieces we commonly see at home, like balusters and tiles. From what I gather, it looks like it has to go through a lot of process before it can be delivered right to our door steps. After talking to the guys at the marble area, we were supposed to go to the marble mining site, but I begged off. I’d surely be brokenhearted to see the damage to the mountains brought by the mining activities. I had to pass up. 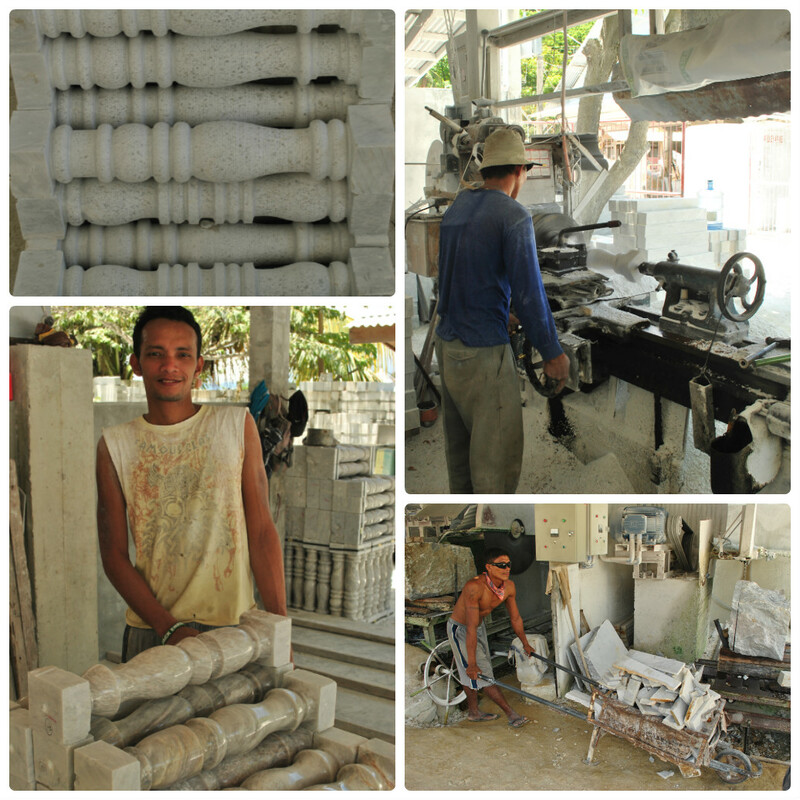 Kuya Richard informed us how the marble business in Romblon had significantly dwindled over the years. Although he said that the amount of marble mined in the mountains of Romblon is not depleting, he added “Nanganganak ang mga marmol dito,” it is the quality that’s being scrutinized in the market. They only get the consolation from mining the more precious green and century marble stones every now and then. With the competition posed by cheaper and finer stones like granite, ceramic and porcelain, the white marble of Romblon is seeing a bleak future. But there is one industry that has the potential to put this province to travelers’ map –tourism. I have yet to see a place with so many clear and white sand beaches which are stone’s throw away from the town proper. As we took the trike from the poblacion to our resort at Lonos, the beaches we saw make me want to stop and jump right in the clear blue waters. Check out Bonbon Beach! Escape enthusiasts will definitely enjoy the sight of these beaches as much as we did! We spent the whole afternoon lounging in the beach. There were a few local and foreign tourists in sight, everyone seemingly enjoying the delightful afternoon while basking in the summer breeze and sunshine. It was a perfect beach day. We were also rewarded by a splendid sunset that day! 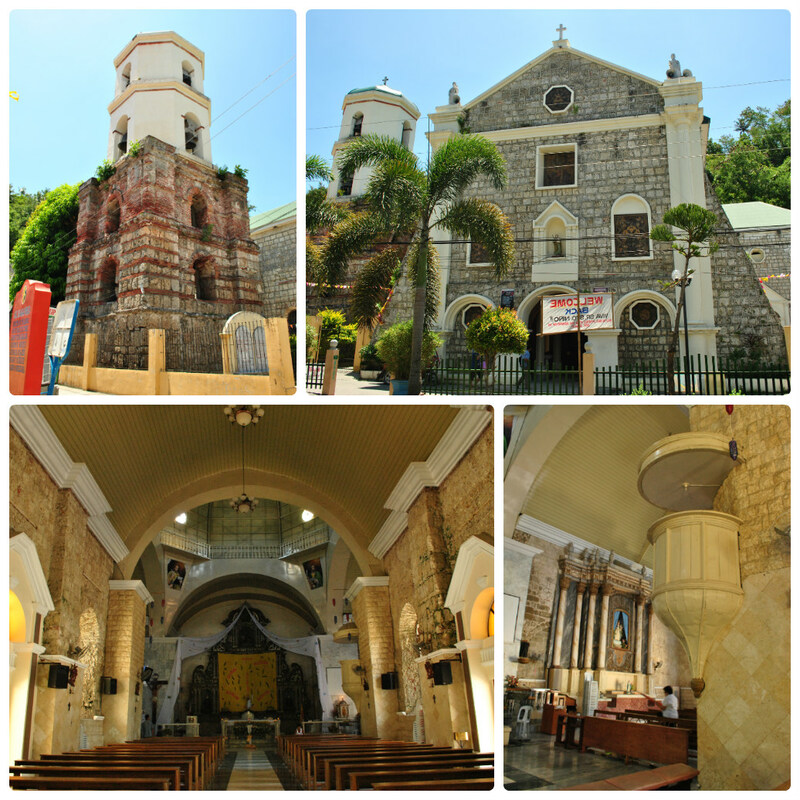 The following day, we woke up early to hear the Sunday mass and visit Sto Nino de Romblon at St. Joseph Cathedral. It gave me goose bumps hearing His story of being lost and found after 22 years, and finding His way back to the cathedral, in His very own home. Somehow, I felt an affinity to the Sto Nino. That after all this wandering, this travelling—no matter if I sometimes lose sight of my destination—there will always be a place waiting for my return, a place I call my home. My trip to Romblon was quick, but a beautiful one. No matter how difficult the journey may have been to get there, the amazing sights and the warm people we met there made the trip memorable. I bought my mother a small souvenir vase made of marble. She brought it to our home in Catanduanes, and I’m already thinking it now stands alongside the ones Cha had from her trip to Romblon decades ago. Get on board a RORO either M/V Grand Unity (Navios Shipping Lines) Or Montenegro Shipping lines. The province of Romblon is approximately 346 km south of Manila. It is composed of three major islands: Romblon, where the capital city of Romblon is located, Tablas, the largest island in the province, and Sibuyan, the easternmost island. There are also four smaller island municipalities: Banton Island, Simara Island, Maestro de Campo Island, and Carabao Island. Three distinct native languages spoken by the people in Romblon: Romblomanon or Ini, Bantoanon or Asi, and Inunhan or Onhan, which are classified as Visayan. Tagalog and English are also used and understood. If only Tablas Airport is still active, Romblon will be one of the tourist attraction of the Philippines. Good place, good food and low cost accomodation. What more can you ask? Tablas Island for their white sand beaches, Romblon for their Marbles and Boknoys and Sibuyan Island for their rich marine biodiversity. Perfect place for me. Yes! And just to add, if Tablas Airport is impossible to activate again, I think improving their RORO service to make it faster and better ride going to the islands of Romblon will be another option. Boy that was a marvelous sunset! I wish you pushed through with the marble mining tour, if you have the pics, then that there would be an interesting discussion to make -the perks and price of mining. Ever since Romblon came into my consciousness, the marble industry equals the place, but I don't remember a resounding criticism for its environmental impact. 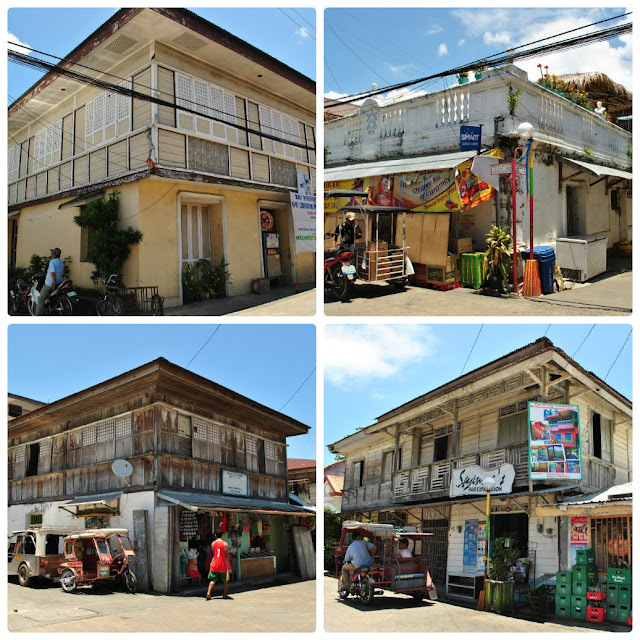 The only one that comes to mind is Ambeth Ocampo's remarks when he visited the place -What did the people in this sleepy town do with their marble? They made them into tombstones, mortar and pestle. As a tourist, I asked myself: How many “lapida” [tomb markers] and “dikdikan” [pestle] do I want? How many lapida and dikdikan do I need? Come to think of it, how many lapida and dikdikan do they sell in a year? Here is a region that has skilled manpower and an almost inexhaustible natural resource, but their products are unimaginative. 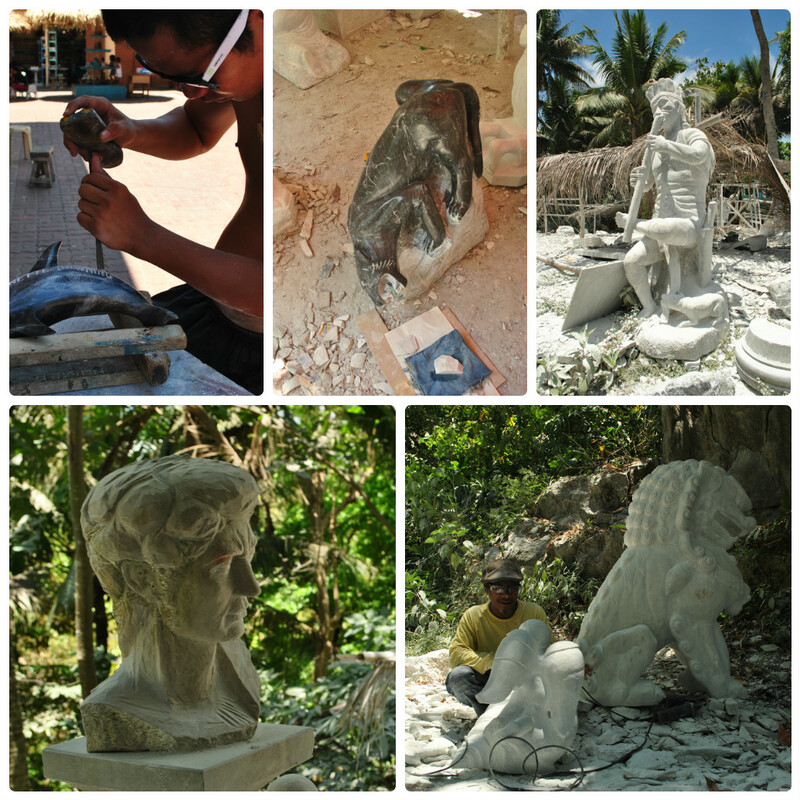 If culture comes in to introduce new designs and new uses of Romblon marble, that would go a long way in developing the industry and the province. Back to mining, it's a complicated issue and I am not knowledgeable enough to argue about it YET. But like I said, images and your own recount could start something. Hey, you still owe me a blog post. Can't wait to hear your thoughts about the effects of mining and tourism to the environment. Aralin mo na ha! Regarding innovation of designs, I agree, they really have to be competitive enough so they could widen their market. I don't think they have a competitor within Pinas, so potentially, they have a really huge market. They just need to be original and creative. With regards to mining, I personally think it does no harm to them. It's good that they have this unique valuable resource with them because it can really bring them alot of money. (I even remember that Romblon marbles are comparable to that of Italy, world's number one producer of marble products.) They should just be reminded of their limitations. Well, I guess they are educated enough on what they should do and should not do because I haven't heard of any negative news about mining on this province. I really hope they are responsible enough so this industry could help them improve their lives. YES na YES sa Booksail sa Romblon! Next time kasama ka na hehehe. @Momo pwede mo din ba ko samahan dyan sa suggestion mo, mas masaya ko kasama, no dull moments, yun nga lang di ako kumakain ng meat. LOL!!! wow! may posible booksail venue na! go! Ahhh those cables are forever eye sore! http://www.youtube.com/user/the4thram di to spam promise! I also agree to Charlyn G.
Yes I agree, that's a really wonderful collection, ONE OF A KIND! Thank you Anonymous, Cha, Momo, Lilymad, and Majadera. You know how to appreciate true art. To cynical Che, I don't have anything nice to say so I'll just shut my mouth. LOL! Jaaaa! matatapos na ang taon di pa tayo nagkakasama sa trip! I really like the images.. truly an exceptional post. Hey, where did you stay on Timbian beach for only 600/night?! is there no plane going to tablas?